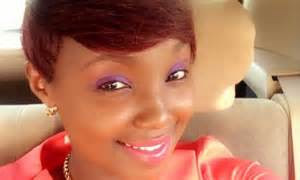 Catherine Kamau popularly known as Celina is currently a household name in Kenya’s competitive entertainment showbiz, thanks to Citizen TV’s Mother-In-Law. 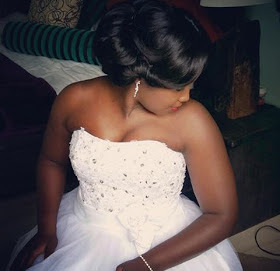 The sultry talented actress will soon be walking down the aisle with her long time sweetheart Phil who is also a former actor of Citizen TV’s Tahidi High. Below is a photo of Celina trying to sample a wedding gown for her upcoming wedding ceremony.